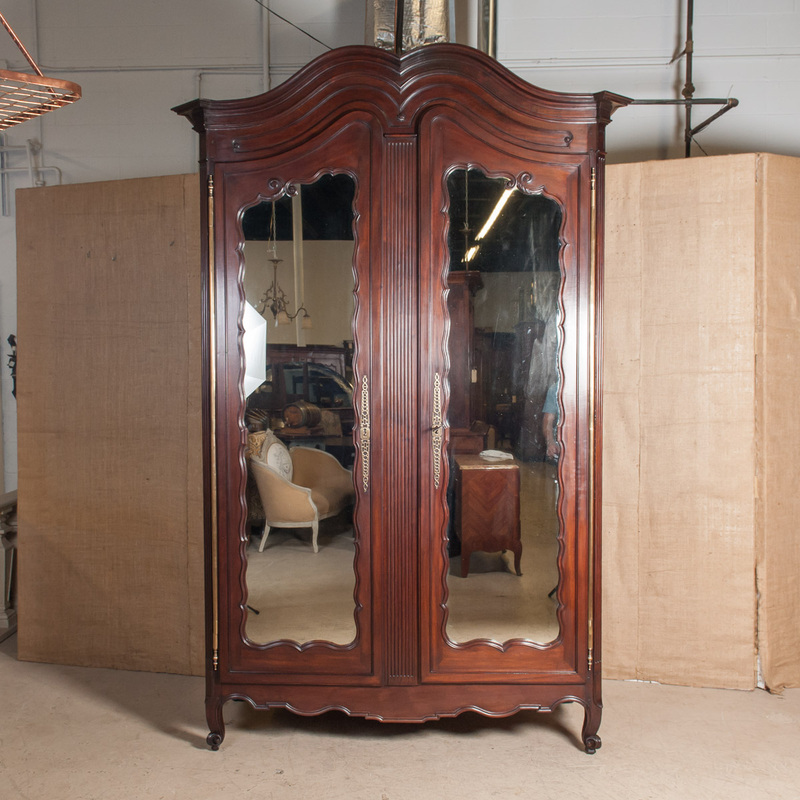 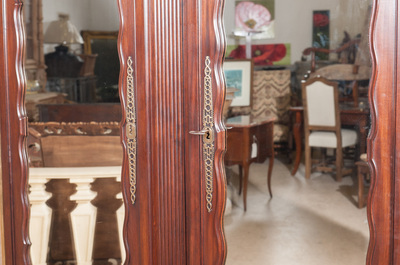 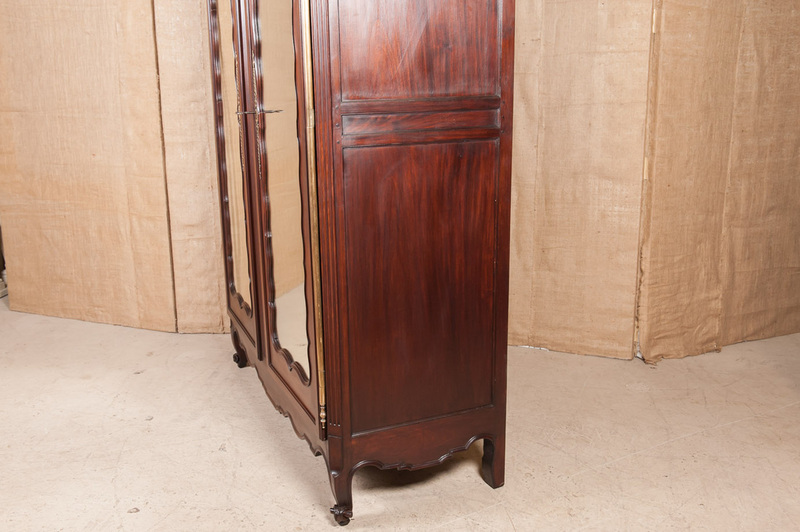 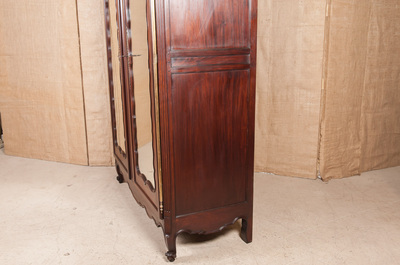 Antique French Provincial Louis XV chateau armoire. Circa late 1700s. 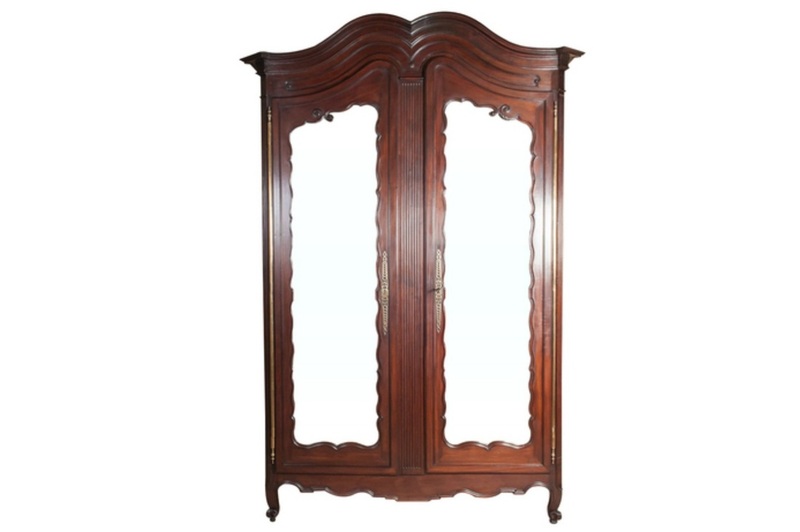 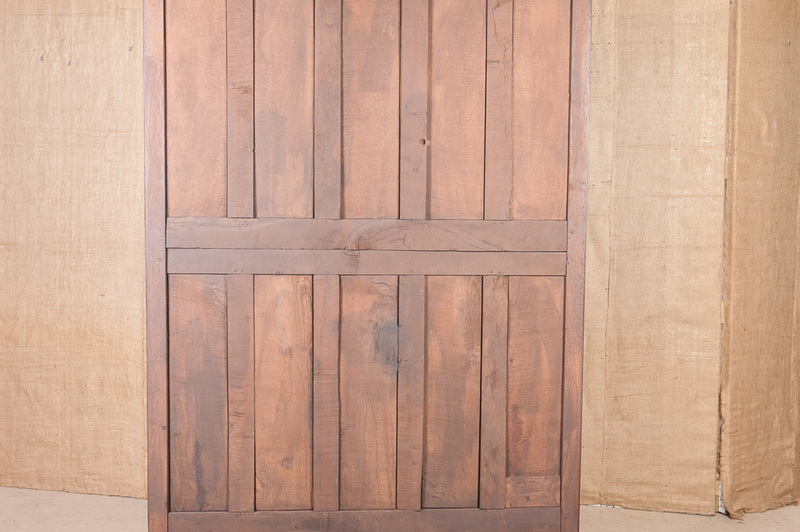 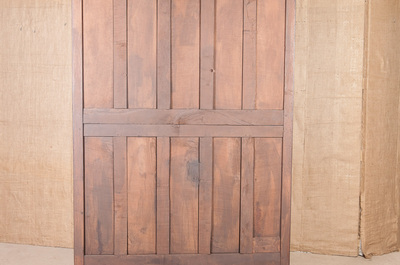 Hand crafted of Cuban mahogany with a double bonnet stepped molded crown above a pair of double bonnet shaped doors. Original mercury glass mirrors. 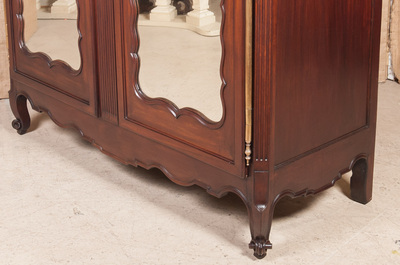 Serpentine apron rests on short cabriole legs with scrolled French toes on pegs. 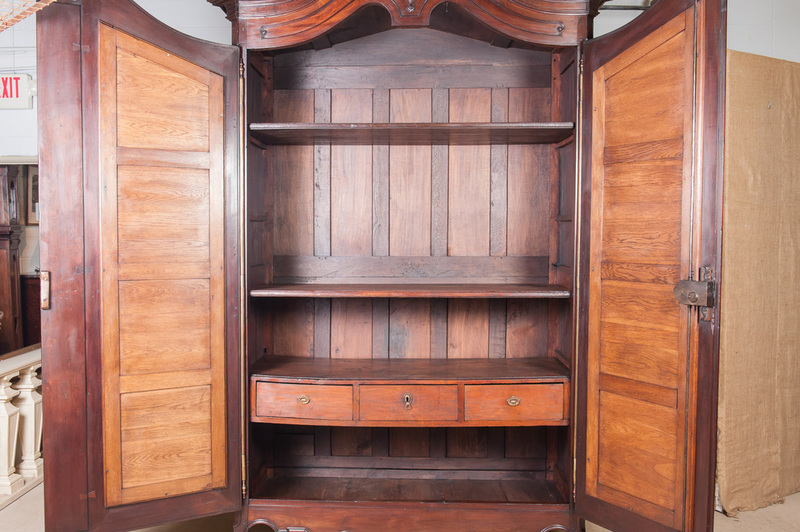 Interior has two shelves and a triple wide drawer. 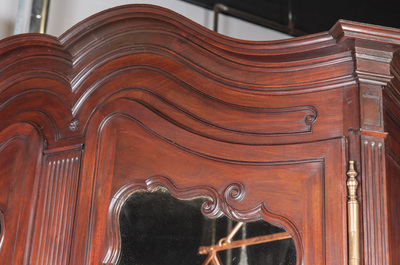 Bordeaux region.